How much code should Open Source leaders write? Which is more effective for building an open source project? Do you write code, or engage with the community? My team are regularly asked variants of this question. Typically when reviewing software systems and extensions which have been out-innovated by the open source community. Just writing code leads to a development team of one. It works, but is slow. 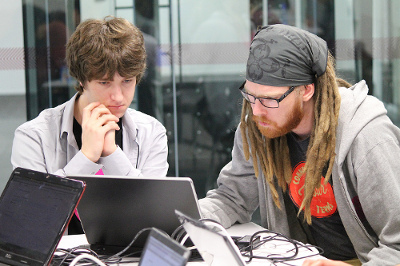 The illusive promise of open source is the potential to attract external developers. But to attract and retain developers you need to connect with them, talk with them, support them, encourage them. You need to help them achieve their goals, which might be only slightly related to yours. And hopefully, after all that, they might contribute back. It is a tough ask, which is probably why 5 out of 6 open source projects are abandoned. So what percentage of time should be dedicated to communication in order to build a successful open source community? My gut feeling, after decades contributing to open source, is around 20% to 40%. But I'd love to find some solid research to back this up. Fine scaled task granularity, making it easier for new users to contribute. However, I'm unaware of studies, including Schweik and English's, which have mined communication archives, such as email lists, to correlate communication styles with project success. Why is that? Communication is the lifeblood of any organisation, so you'd think that by now there would be evidence based guidance on optimising our communication techniques. Especially considering how much value could be easily mined from these archives. What is the frequency, response-rate and response-time to conversations? What is the proportion of experienced verses in-experienced people initiating and responding to topics? What is the "signal to noise" ratio? Do people write concisely? How much time do people spend coding compared to the time they spend communicating? (This could be roughly calculated based on lines of code written vs lines of email composed). Which communication mediums are more effective? 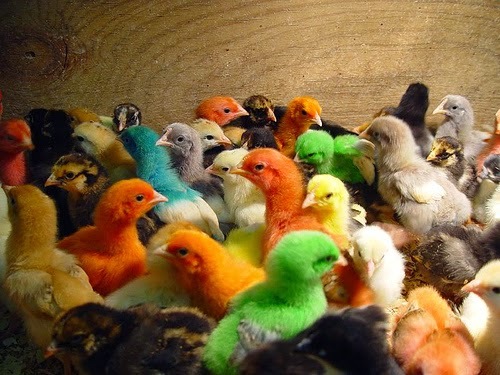 Email, IRC, twitter, blogs, other? What styles lead to communities becoming more or less engaged? We are starting the build cycle for version 9.5 of the OSGeo-Live DVD/USB/VM which will be released in March 2016, ready for several special events, including FOSS4G-NA, FOSSGIS (Salzburg, Austria), among others. 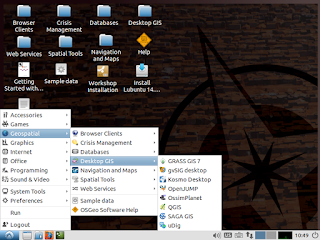 OSGeo-live is a Lubuntu based distribution of Geospatial Open Source Software, available via a Live DVD, Virtual Machine and USB. 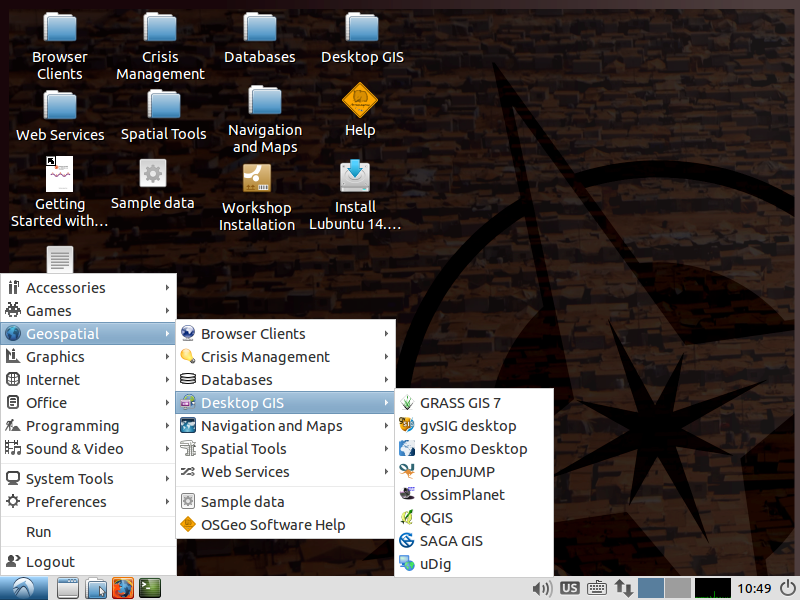 You can use OSGeo-Live to try a wide variety of open source geospatial software without installing anything. My employer provides commercial support for the open source PostgreSQL database, and as such, I regularly rub shoulders with a lot of organisations stung by an Oracle database license audit, and impassioned to do something about it. One such organisation went as far as naming their migration project "NORACLE". As background, PostgreSQL is an established and robust open source relational database, and Oracle database compatibility is available as an extension through EnterpriseDB's Postgres Plus, along with extra enterprise grade tools. Version 9.0 of the OSGeo-Live GIS software collection has been released, featuring over 50 open source, standards compliant geospatial applications. We are now providing both 32 and 64 bit architecture support. The Virtual Machine version has moved to 64 bit architecture. We have moved from subversion to git for our version system. 32 geospatial programs have been updated to newer versions. Okeanos is kindly providing Virtual Machines for building the OSGeoLive iso images. Where is the Universal Code of Conduct? OSGeo has adopted a Code of Conduct for use across events and projects [Press Release]. It draws very heavily upon upon prior work. In researching, it was interesting to see how Code-of-Conduct iterations have been steadily improving over time [2001, 2010, 2012, 2012, 2014, 2014]. Positive language has replaced authoritative tones; edge use cases are covered; and a gradual escalation process helps communities self police most infringements in a non-confrontational manner. Unfortunately, no one has been collecting these improvements into a Universal Code of Conduct. It would have been really nice to simply reference an Industry Code of Conduct, similar to the Creative Commons Licenses for data, or Open Source licenses for Software. We are starting the build cycle for version 9.0 of the OSGeo-Live DVD/USB/VM which will be released at FOSS4G in Seoul, Korea in September 2015. For this release we will be moving our version control system from subversion to git. This is currently getting set up and we will be providing details shortly. Git migration discussion is happening on our mailing list. Feel free to join! To be clear, Esri has extended LAS to create "Optimized LAS" which provides near identical features and performance to the existing and open LASzip format, both of which provide faster access and smaller file sizes to the LAS format. However, rather than collaborate with the open community, as has been repeatedly offered, "Optimiszed LAS" has been developed internally to Esri. It is neither published, nor open, which provides both technical as well as legal barriers for other applications reading and/or writing to this proprietary format. This creates a vendor lock-in scenario which is contrary to the principles of the Open Geospatial Consortium, the OSGeo Foundation, and many government IT procurement policies. Esri has long understood the importance of interoperability between systems and users of geographic information and services. Esri has participated in the development of national, information community, OGC, and ISO TC 211 standards from the development of the US Spatial Data Transfer Standard in the 1980s through the development of OGC Geopackage today. As a sustaining member of ASPRS and a Principle member of OGC, Esri would gladly participate in efforts to further the development of open LIDAR and point cloud standards. Keep in mind that ASPRS owns and maintains LAS, along with other spatial information standards, and would have the lead in moving it into OGC or ISO TC211 for further work if they so desired. Esri will continue to support and use the ASPRS LAS standard; the Optimized LAS (see FAQ at https://github.com/Esri/esri-zlas-io-library) is not intended to replace LAS but to enhance access to remotely stored LIDAR information for our users. Esri has long understood the importance of interoperability between systems and users of geographic information and services. Nice motherhood statement. Notice that Esri carefully selects the words "understood the importance" rather than "we commit to implementing". Esri has participated in the development of national, information community, OGC, and ISO TC 211 standards from the development of the US Spatial Data Transfer Standard in the 1980s through the development of OGC Geopackage today. More motherhood words talking about standards in general without answering the specific question about fragmenting of the LAS standard. Esri also failed to mention Esri's embarrassing attempt to get the GeoServices REST API approved as an OGC standard, despite it competing directly against existing OGC standards. (Esri would have benefited by this, at the expense of geospatial users and competing products.) The OGC community backlash led to a retraction of GeoServices REST API from the OGC, and a reformation of OGC processes to avoid a similar situation happening again. As a sustaining member of ASPRS and a Principle member of OGC, Esri would gladly participate in efforts to further the development of open LIDAR and point cloud standards. Nice statement, without any quantifiable commitment. Will Esri put it into practice? Track record suggests otherwise. As explained by Marin Isenburg, Esri has talked a lot about collaboration and being open, while in parallel creating a competing proprietary format. If Esri were seriously committed to open LiDAR standards, Esri would publish "Optimized LAS" under an Open License, and/or take "Optimized LAS" through a standards development process such as provided by the OGC. Esri would have also build upon the prior LASzip format rather than redeveloping equivalent functionality. Keep in mind that ASPRS owns and maintains LAS, along with other spatial information standards, and would have the lead in moving it into OGC or ISO TC211 for further work if they so desired. Again, if Esri had the best interests of ASPRS and Open Standards in mind (as you would expect from a sustaining member), then we'd expect Esri to donate their LAS improvements back to the ASPRS for safe keeping. Why is Esri keeping such improvements in an Esri proprietary format instead? Esri would be also lobbying ASPRS to accept improvements to the LAS format. Has this happened? Lack of public discussion on this topic suggests otherwise. Esri will continue to support and use the ASPRS LAS standard; the Optimized LAS (see FAQ at https://github.com/Esri/esri-zlas-io-library) is not intended to replace LAS but to enhance access to remotely stored LIDAR information for our users. Esri is sidestepping the issue. The LAS standard needs improvements. These improvements have been implemented by the open LASzip format and also by Esri's proprietary Optimized LAS. One should be incorporated into a future LAS standard. The question Esri fails to answer is why does Esri refuse to work in collaboration with the open community? Why has Esri developed their own Optimized LAS format instead of improving an existing standard format? Esri's FAQ, explains that esri-zlas-io-library is stored on github under the Apache license, which would make you think the code is Open Source and hence the Optimized LAS format could be reverse engineered. This is not the case. Esri has only licensed the binaries under the Apache license such that it can't be reverse engineered or improved by the community. By the OSI definition, this is not Open Source Software. So I'm calling Esri out on their claim to being supporters of Open Standards. Please Esri, either clean up the way you behave, or come clean and admit that Esri abuses its market position to undermine Open Standards. Version 8.5 of the OSGeo-Live GIS software collection has been released, featuring over 50 open source, standards compliant geospatial applications. IPython notebooks contain a list of input/output cells which can contain code, text, mathematics, plots, maps and other media. They are a bit like a spreadsheet in that each cell can contain code or a formula, and a bit like a web page in that authors can create structured text along with easily embedding rich and sophisticated media. GRASS 7 is a major upgrade, in the making since 2008, and offers new modules, tools, analysis capabilities, optimisations, user interface improvements, new Python interface, and SQLite database driver as default. OpenLayers 3 is a fundamental redesign of the OpenLayers web mapping library to use modern design patterns. Applications 25 geospatial programs have been updated to newer versions. Okeanos is the Greek Academic cloud service (IaaS) which is providing virtualized computing resources for building the OSGeoLive iso images.